Come and discover the neighbourhood of Lucentia Residences and learn about the life, malls, and people in the area. Find out more about the schools and properties that are available in the area. 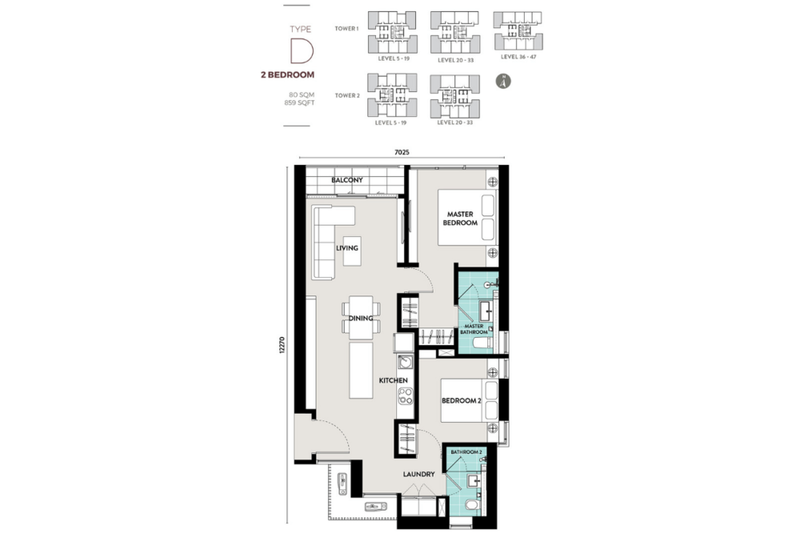 Browse through our superb properties For Sale in Lucentia Residences. 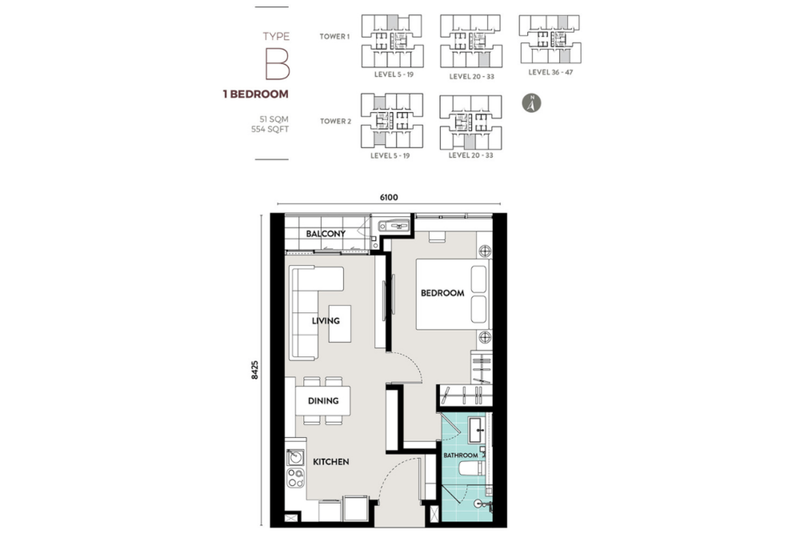 Browse through our superb properties For Rent in Lucentia Residences. Lucentia Residences is the debut residential offering in Eco World Development Group Bhd’s much-anticipated, flagship Bukit Bintang City Centre integrated development set in the heart of the Kuala Lumpur city centre, at the junction of the historic Jalan Hang Tuah and Jalan Pudu thoroughfares. The project itself comprises 666 serviced apartments in two residential towers comprising 47 storeys (Block 1) and 35 storeys (Block 2). 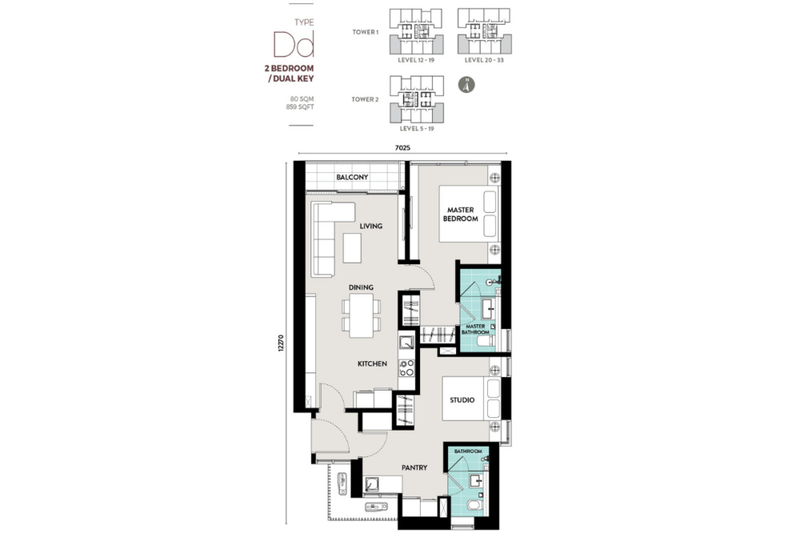 The developer currently offers six layouts for purchasers to select from, namely Types A, B C, D, Dd and E, with built-ups from 454 sq ft to 882 sq ft in a variety of studio, 1-bedroom, 1+1 bedroom and 2-bedroom layouts. 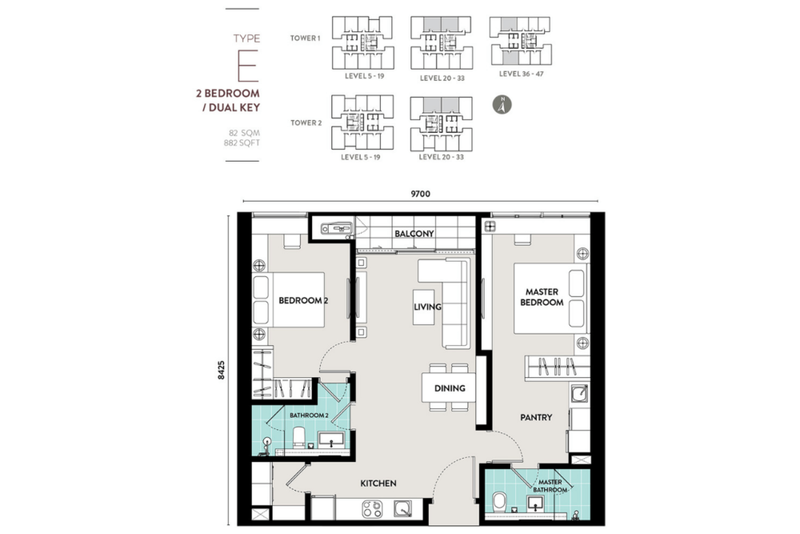 As commonly seen in recent launches, EcoWorld has taken care to include dual-key options in Lucentia Residences, with Types Dd (858 sq ft) and E (882 sq ft) offering attached studios, pantries and bathrooms for flexible renting and living accommodations. 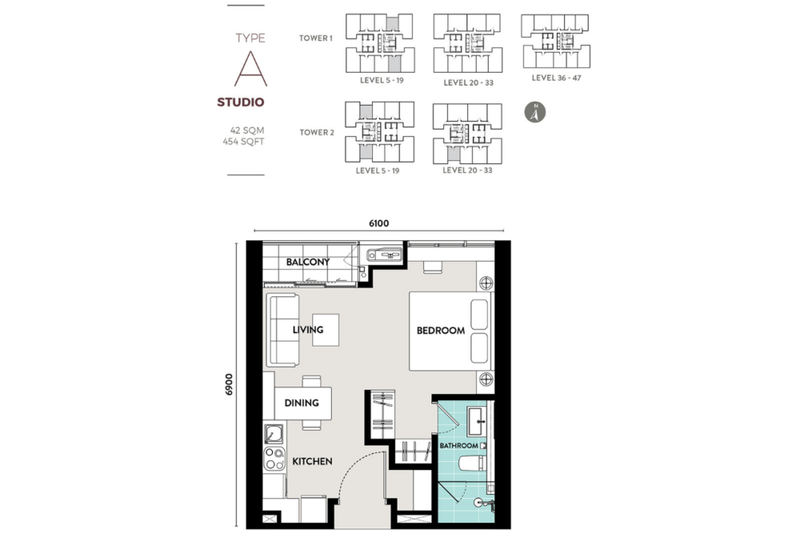 When it comes to recreation, residents and owners can leverage on a range of facilities spread across four levels, including a two-tier podium deck on Level 3A, along with a sky deck on Levels 33A and 35. 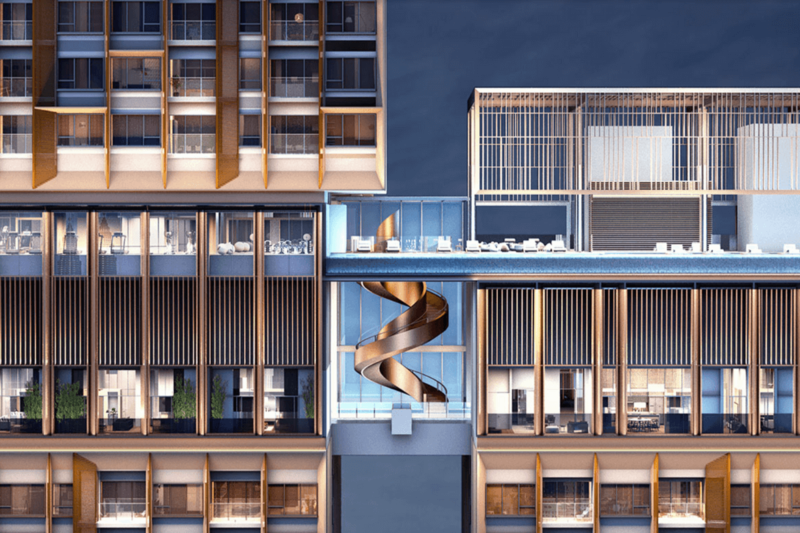 These amenities include an Olympic-length swimming pool and barbecue area on Level 3A, as well as an open-air play area on the mezzanine floor inspired by treehouse designs. Meanwhile, the sky deck on Levels 33A and 35 includes sky cabanas for rest and relaxation, as well as panoramic views of the surrounding city skyline, along with access to a sky bridge linking Blocks 1 and 2. In terms of aesthetics, GDP Architects Sdn Bhd has drawn inspiration from traditional Japanese paper lanterns, suffusing the project as a whole with natural daylight and softer illumination at night. 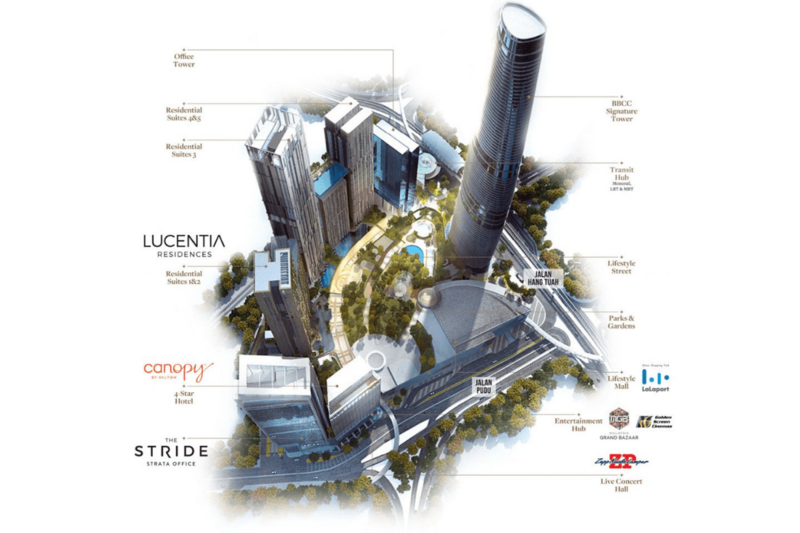 Lucentia Residences itself leverages on its position within EcoWorld’s larger 19.4-acre Bukit Bintang City Centre development, comprising mixed residential, office, retail and hospitality components. These include the 1,000,000 sq ft Lifestyle Mall, a Lifestyle Street with dining and entertainment outlets, a concert hall by the Japan-based Zepp Hall Network Inc, strata office towers including The Stride, and the 80-storey BBCC Signature Tower. 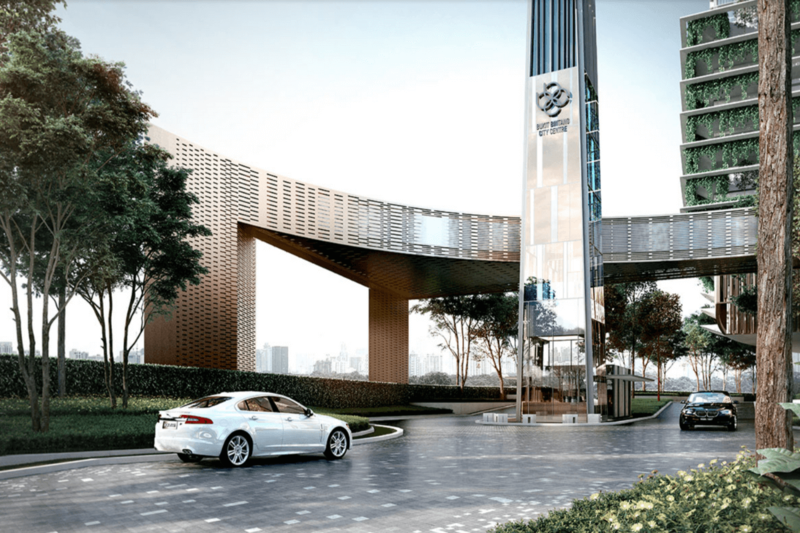 In line with its international aspirations, the development incorporates five-star hospitality components in BBCC Signature Tower as well as a separate four-star hotel tower, and provides nearly unparalleled connectivity to Klang Valley’s growing integrated rail network through proximity to the Hang Tuah monorail and LRT stations, as well as a link to the nearby Merdeka MRT station. If that isn’t enough, BBCC’s stellar location in Kuala Lumpur’s Golden Triangle within Jalan Imbi, Jalan Sultan Ismail and Jalan Raja Chulan allows it to benefit from the commercial and entertainment hub’s diverse pull factors, including Berjaya Times Square adjacent to the development, Pavilion Kuala Lumpur nearby, the Jalan Alor nightlife hawker hub and of course, the Suria KLCC shopping mall. 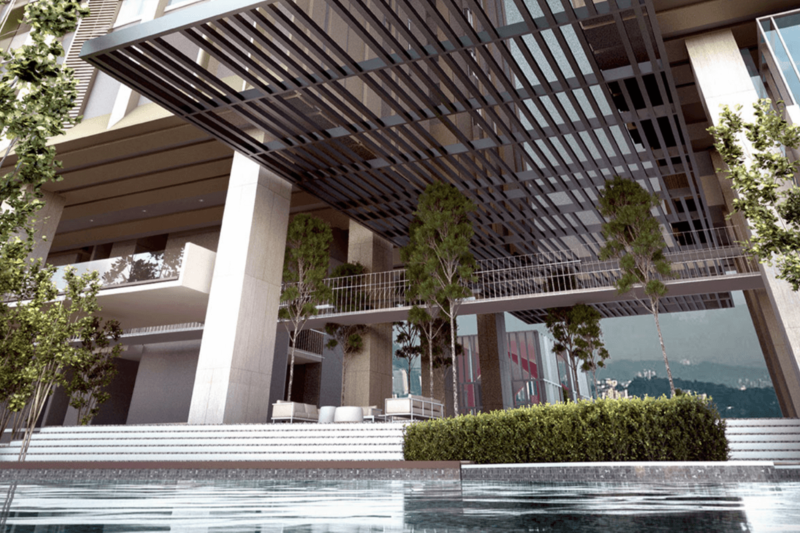 Perhaps the only caveats when it comes to Lucentia Residences are the project’s leasehold status, along with its price points, which range from RM782,000 to RM2,178,000, averaging RM1,722 psf to RM2,469 psf. This naturally positions it towards buyers at the high end of the market, as well as international purchasers – who might be more willing to overlook the site’s historic roots as Pudu Prison. 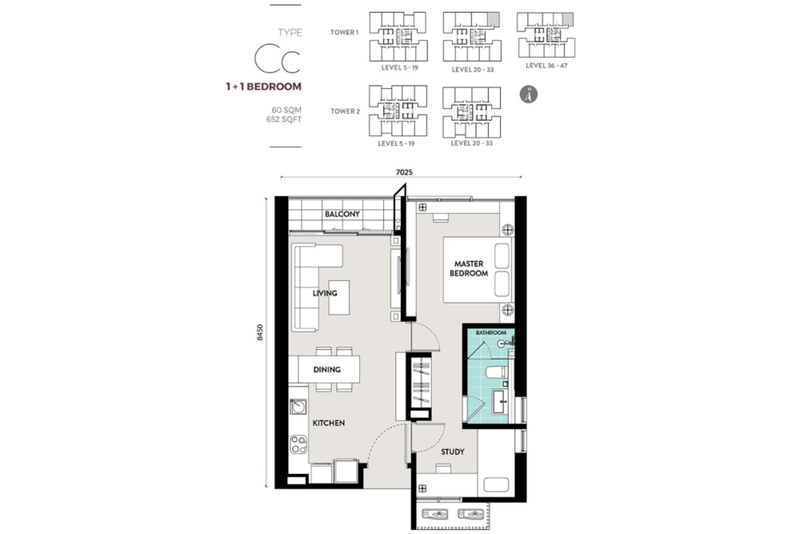 Lucentia Residences is scheduled for completion on 7 March 2021. 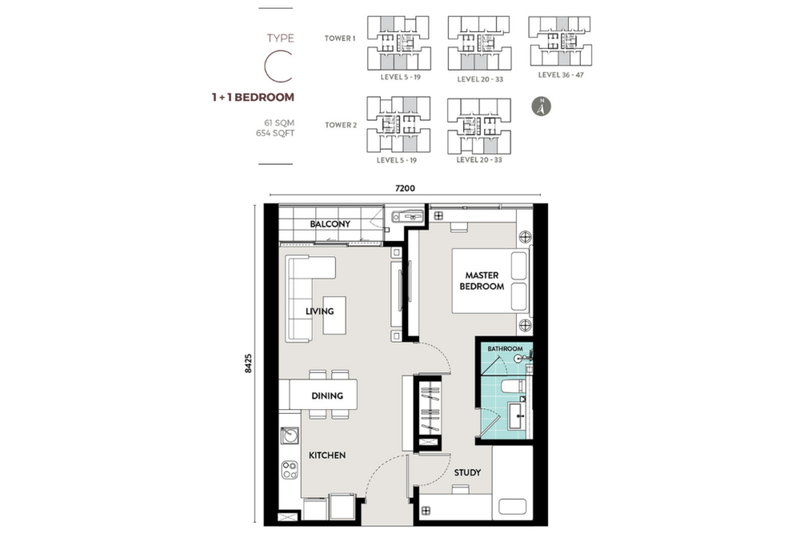 I would like to request for more information or a site viewing for the Type A (Studio) unit. Thank you. With PropSocial, everyone can now find their dream home. Looking to buy, sell or rent a home of Lucentia Residences? Fill in your details and we will get right back to you!